make / my favorite - memento! This card has a little extra surprise…when viewed from the front it looks like any normal watercolor card – but upon a second look you can see that there is a hidden message among the flowers…Hello! 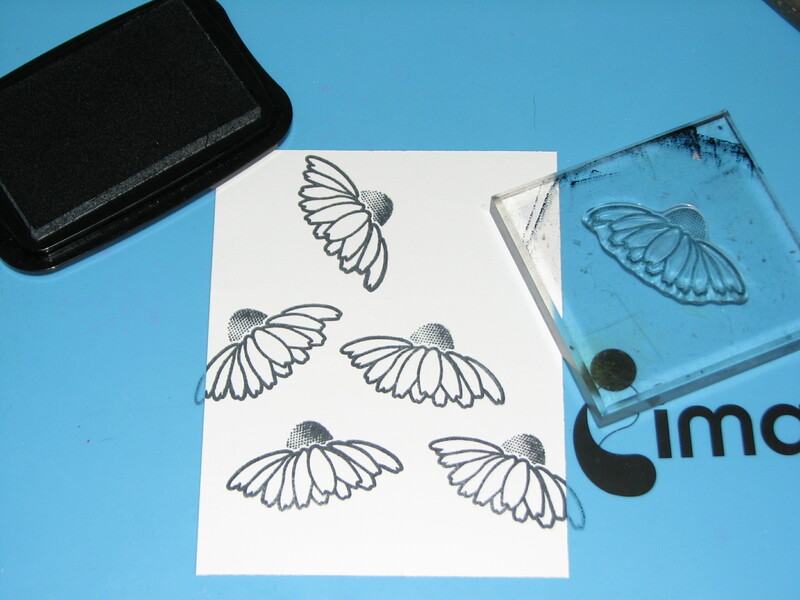 1 Stamp flower heads several times on a piece of watercolor paper using Tuxedo Black Memento Dye Ink. 2. 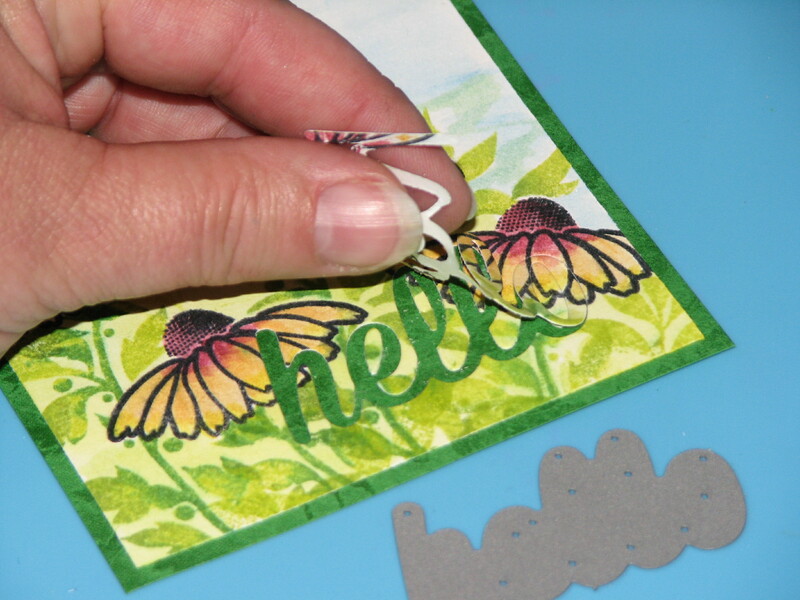 Stamp the flower head on scrap paper and trim. 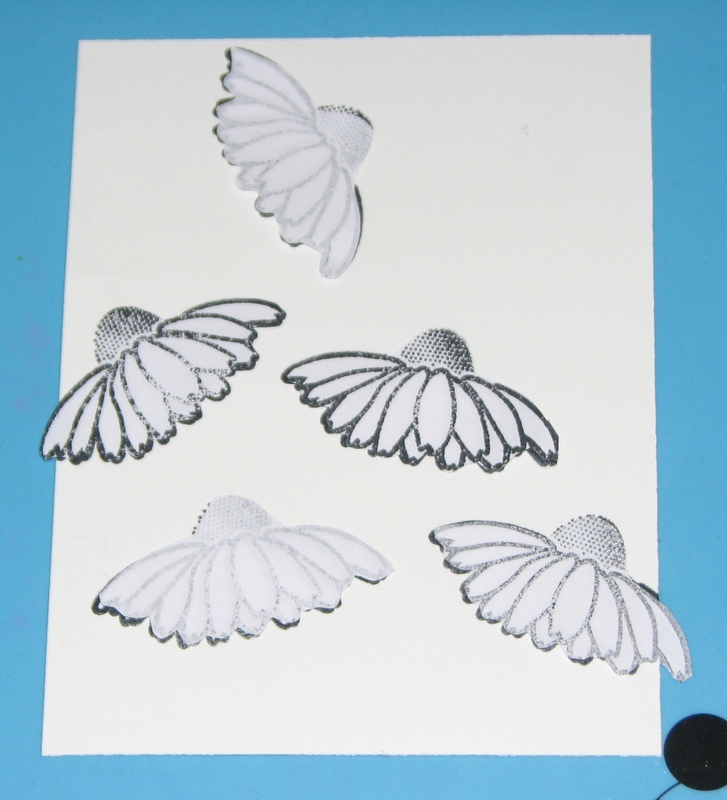 These will be used as masks when stamping the background. 3. Ink the foliage stamp with Pear Tart Memento Dye Ink; dab on Ivy Cottage and Bamboo Leaves ink here and there on the stamp. 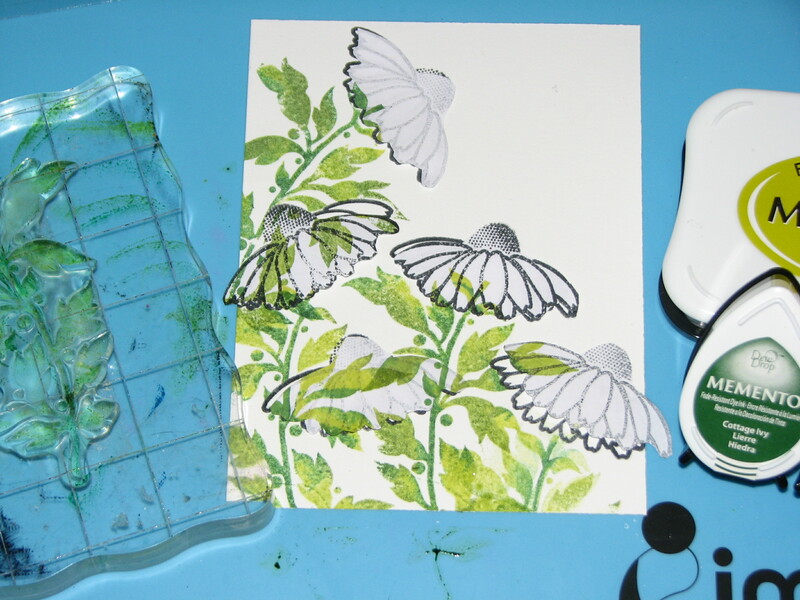 Press the inked stamp onto the watercolor paper. Repeat as desired. 4. 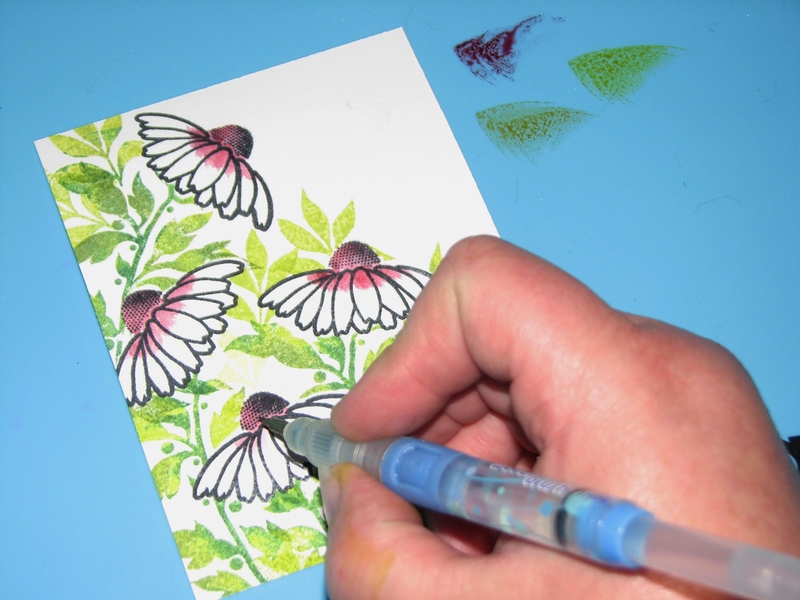 Dab desired colors of ink onto the craft mat; use a watercolor brush to pick up the ink and paint the flowers. Rhubarb Stalk, Dandelion and Cantaloupe were used for this card. 5. 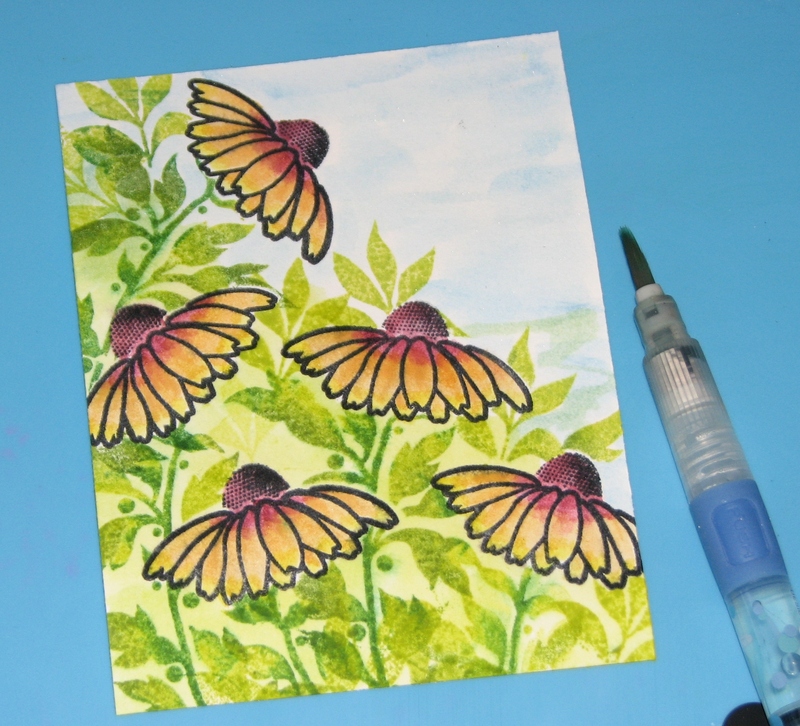 Once you have painted the flower heads with Memento Ink, use additional ink to watercolor the background, Summer Sky for the sky area and Pear Tart among the foliage. 6. Add a bit of simmer to the flowers by applying a bit of Sparkle Pico Embellisher to each flower; let dry. 7. Die cut the finished card panel. Here you can see where I was peeling the word from the rest of the card. 8. 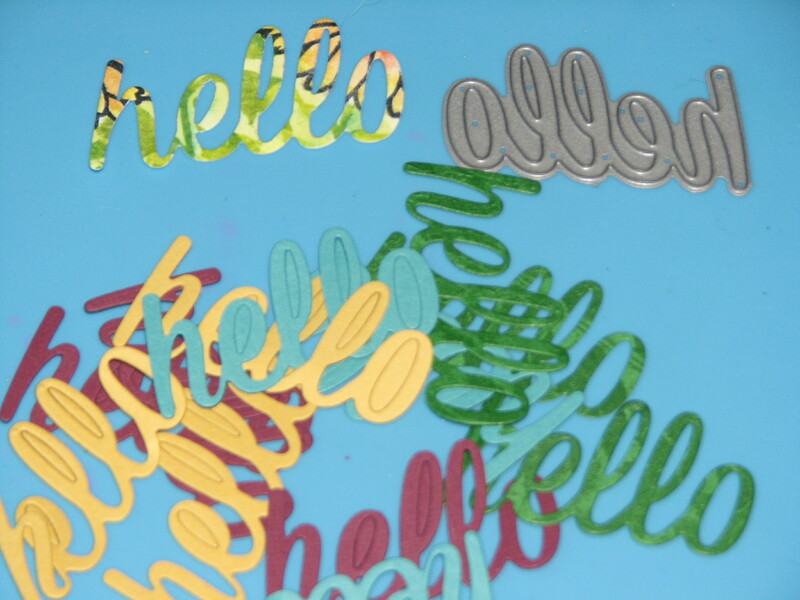 Die cut the same word several times in one or more colors of cardstock. 9. Glue the words together to create a 3D effect. 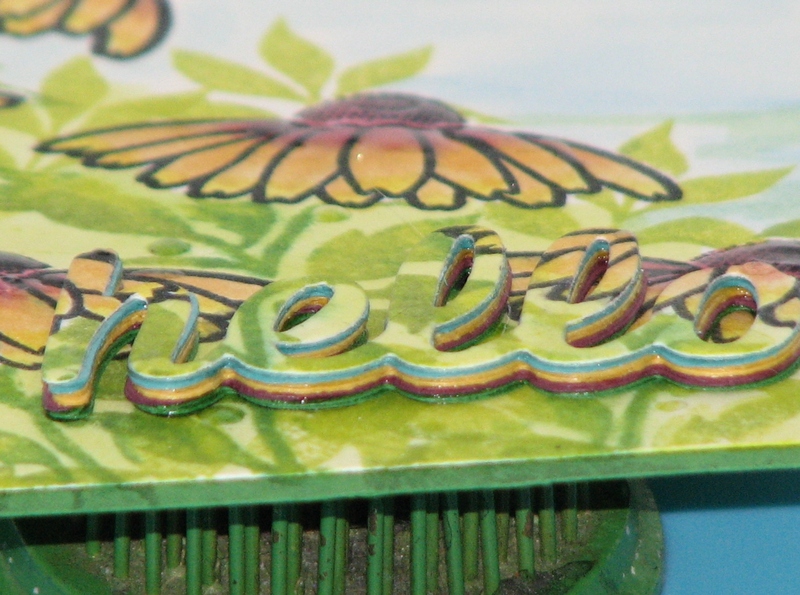 I used 8 colored die-cuts plus the stamped & colored top die-cut for this card. 10. Adhere the word stack over the original die-cut area of the card.